What operating system would be complete without a reliable language translator? Despite the fact that it still consist of an app, Windows 10, Windows 8 accomplishes this task pretty good. 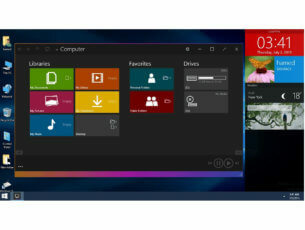 However, I have thought that the Microsoft brainiacs would have introduced such a feature as part of the OS, or at least create an app, but it was not so. 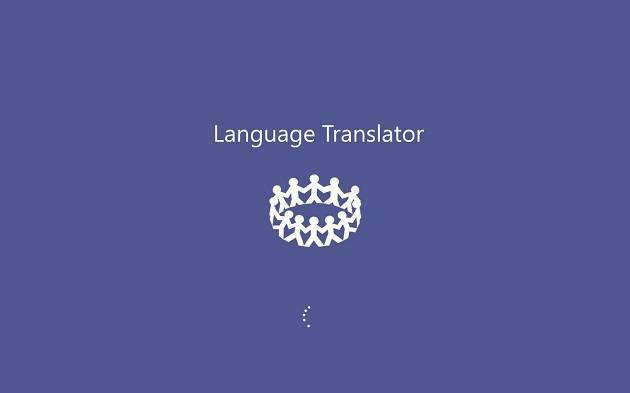 Luckily, some other developers have thought of this and so, we have a pretty decent translator app for Windows 10, Window 8. At the moment, the app still has some minor issues and lacks some features, but overall, it’s a good app, capable of giving you a decent translation almost like Google Translate and other, more reputable names. We’ve tested out the app, and we saw what it can and can’t do. Here is our test of Language Translator application for Windows 10, Windows 8/RT. The app is primarily based upon a simple interface. It would seem that the developers wanted to create something that would give you an answer on the spot, rather than having to go through menus upon menus or by having a slow and time consuming setup process. This, I think is the best aspect regarding the app: you fire it up and it works. Very simple and reliable (considering it is based on the Microsoft Translator). The user interface of the app also keeps this overall simple theme, by having only two parts: source text and translated text. This resembles Google Translate quite a lot, and, as its counterpart, it’s pretty fast in making the necessary translation. Also, one very awesome feature that I’ve noticed is the Share option which allows you to send text directly to the translator app. When you come upon a text that you need to translate, select it and open the Charms bar, here press the Share button and select Language Translator. 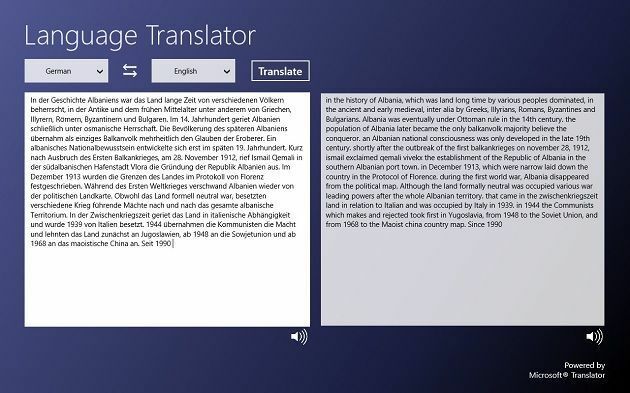 This will open a windows of the app with your selected text and you can translate it into what language you need. The app also allows for you to listen to the text being dictated, but it only works on a handful of languages. Hopefully, with future updates we will see this option be implemented for more. What I did not like about the app is the small number of languages. I am sure that this will not be a problem in the future, but at least for now, it covers all of the major languages of the world. One other issue I had with the app is the Auto-Detect feature. If you don’t know what language is your text, the app won’t figure it out, and you have to manually select “Detect” from the drop-down menu (which is not the first, but you can find it lower in the menu, under the letter “D”). Also, support for Speech to Text would have been a nice feature, but I hope to see it in the future. Last but not list, the app is limited to other apps. Let me explain: if you have, for example the Wikipedia app and you want to translate a text, you can use the method shown above (the Share option), but if you are in desktop mode, you cannot share text with the app, but copy it, open the app and paste the text there. I don’t think the developers are the ones to blame for this drawback, do to the fact that Windows 8, Windows 10 has some pretty curious settings for both Modern UI and Desktop Mode. 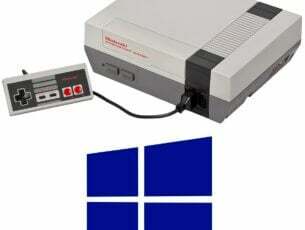 So, I’ll attribute the lack of this feature to the guys at Microsoft. 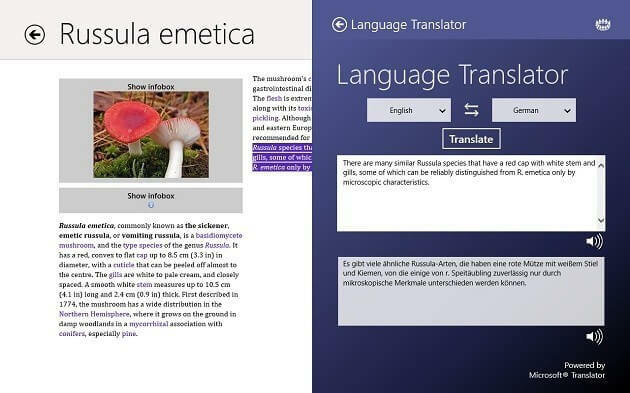 If some of you, folks, still operates on Windows 8 and cannot use Language Translator app, we strongly suggest you to check our list of best dictionary software. They might be a good replace to it. 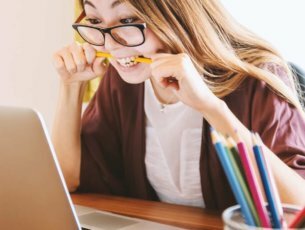 Those of you who needs a translation tool for professional purposes can consult our ‘Top 5’ of best offline translation software . All of this being said, the app is pretty good and I can safely say that it can satisfy most users. However, do not expect it to give you a 100% translation, but think of it as more of a tool that helps you understand what a text written in a foreign language says. It does need a few updates for it to become truly great, but it’s a promising start!